QUESTION: Marty: You said palladium would lead due to short supply and then crash when people least expected with the ECM. Has that happened? ANSWER: Yes. 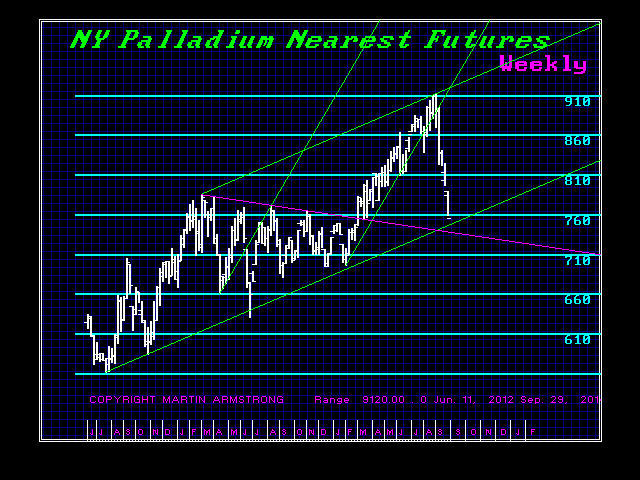 Palladium was rallying on the fundamentals of a short supply. But then there is the demand side. It peaked on September 2nd with the turn in the ECM. This is a brief retreat, Nonetheless, palladium was leading the metals and giving hope to the rest. 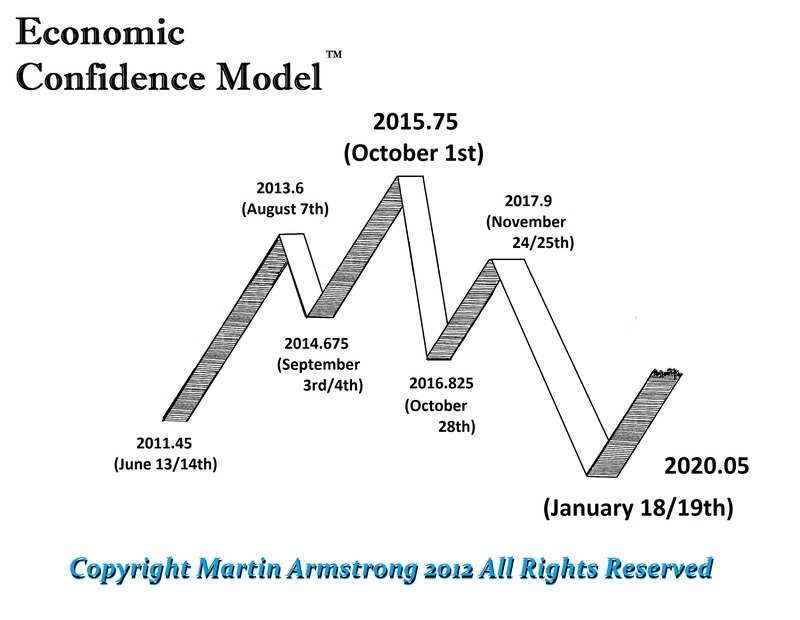 It too had to move through the cycle inversion process. It will align with the rest of the metals.